Interview: Actor Michael Caine, Starring In 'Now You See Me' At 80, Caine has no plans to slow down his decades-spanning acting career. He plays an investor in the new thriller Now You See Me and has plans for at least three more films. These days, he says, he's more a movie actor than a movie star, but he finds the smaller roles to be just as fascinating. 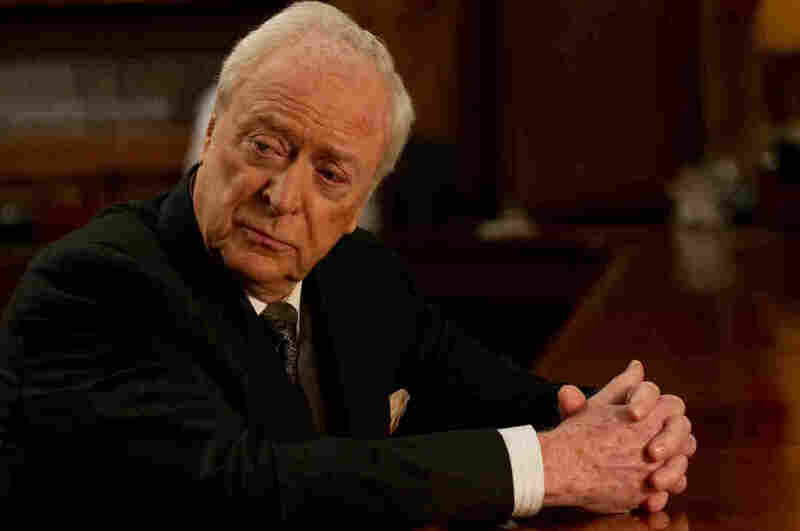 Michael Caine plays an investor in Now You See Me, a film about heist-pulling illusionists. 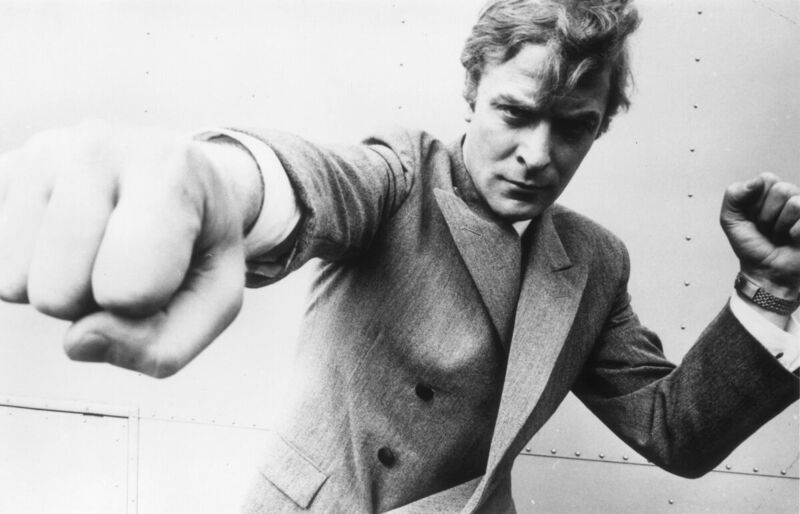 Over the course of his career, Michael Caine has played big parts and small parts, all of them memorable. His films include everything from Alfie to The Man Who Would Be King, from The Cider House Rules to The Dark Knight. "I've been very fortunate," Caine tells NPR's Robert Siegel, "because I spent my life doing something that I love doing so much, I used to do it for nothing. So you can't have a better life than that." Caine turned 80 this year, and he's still working hard. This weekend, you can watch him, along with Morgan Freeman, in the crime thriller Now You See Me. And Caine doesn't have plans to slow down: "Occasionally a journalist will say, 'Why don't you retire?' Well, I say, 'You don't retire from the movies — the movies retire you.' One day the parts don't come, or the money's so small it's not worth getting up." Caine tells Siegel about the class stereotypes of English accents, how he changed from "movie star" to "movie actor" and which of his movies he'd like to be known for. "If you're a movie star, you get the girl, you lose the girl, and then you get her back. But if you're a character like me, you lose the girl, then you get another one, then you get another one, then you lose them all, then you lose your life. It's all very different. And it's fascinating for me. 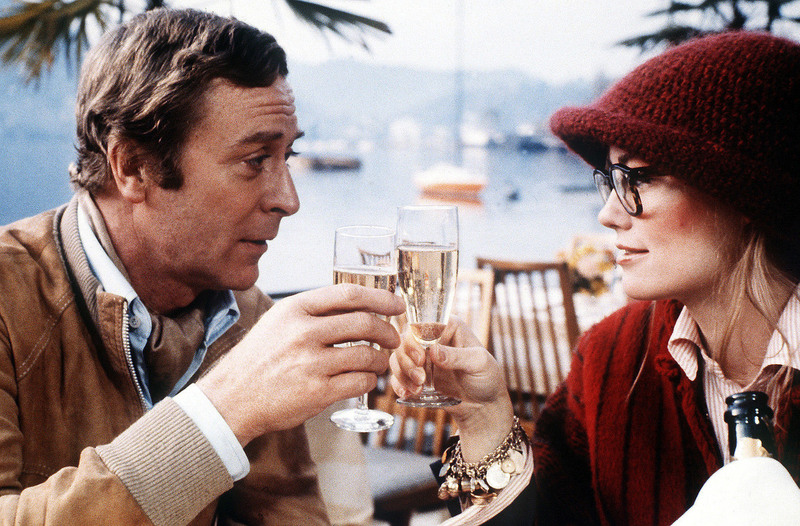 Caine and Cybill Shepherd during the filming of Silver Bears in 1978.
" ... It's [being] a movie actor, as opposed to movie star. And I remember when it happened to me. A producer sent me a script, and I sent it back and said, 'The part's too small. I don't want to play it.' And he sent it back and said, 'I didn't want you to play the lover; I wanted you to play the father.' And I thought, oh my god. I rushed in the bathroom, had a look in the mirror, and there wasn't the lover looking at me: There was the father." "The BBC was so posh, on the radio they used to read the news in an evening suit ... in a bow tie and everything. ... They've improved out of all recognition. It's a completely different, whole different country and way of life now. I mean, there are still people who talk like that, but no one listens." "If someone is very upper-class you have a stereotype of him which is probably true. If someone has a working-class accent, you have no idea who you're talking to." "No, but I was in repertory, which meant that I would do like 40 plays a year, one a week, so I was playing all different sorts of people. But I am what's called a Cockney, which is very, very working-class London. "And a symbol of the class system in the '60s was, for me, my first big role in a movie which got me recognition was in a movie called Zulu, right? The director of the movie was an American, and I was up for the part of the Cockney corporal. But it had been cast by the time I got to the audition. And he said to me, 'Can you do any other accent except the one you've got?' And I said, 'I can do any accent you like.' And he cast me as a very upper-crust toffee-nosed English officer. "I assure you, even if I said I could have done the accent, no British director would have cast me as an upper-crust officer. And I was a big success — it started me on the road to stardom." These days, Caine gets smaller roles than he used to, but that doesn't bother him. Back when he did repertory theater, "I did a play a week," he says. "One week I'd be the lord, the next week I'd be the butler." He's pictured above in 1965. "I went to the Grenadier Guards or something like that; I would go to lunch in their mess. But I did see and figure out the relationship of officers with each other, as opposed to the relationship of officers with me, which was usually of anger and denigration." "I'd pick Dirty Rotten Scoundrels because it was the funniest. I'd pick Educating Rita because it was the farthest away from me — I'm playing a university professor. And I'd pick Alfie, which made me a star and got me my first Academy Award nomination. "... Some people would have said The Man Who Would Be King and things like that, or Get Carter, Sleuth with Larry [Laurence] Olivier — I mean, there were a lot of them. But these were the three." "... It was very funny ... I played an alcoholic professor of English — and I grew a beard and put on a fat stomach. And we were just doing the first shot in the grounds of the university and I saw a man coming along with a potbelly and a beard, and he was carrying a case of wine. And as he went by I said to him, 'Are you the English professor?' And he said, 'Yes.' And I said, I thought, by god, I've got it right." "No. I think where that comes from is my background of repertory, where I did a play a week. One week I'd be the lord, the next week I'd be the butler. For me, the performance was always playing different people. And so when I got older, was no longer the romantic leading movie star, it became more and more interesting for me, the characters I played, you know? "I won an Academy Award for The Cider House Rules, playing an American. It was fascinating — it still is fascinating for me. I'm about to do a sort of thriller with Ben Kingsley, and then I'm going to do a picture with Al Pacino where he plays an aging rock star who wants a last tour, and then I'm going to be a professor in Christopher Nolan's new film Interstellar. ... I'll be 95 before I get over all that. "But you see what I'm saying — I'm not the lead in any of those films, but it's very, very interesting."